Alibaba officially became the biggest initial public offering of all time, confirming on Monday that in the final tally it raised an eye-popping $25 billion. The e-commerce giant's ability to raise huge sums of cash could give stock prices further momentum in the medium term. Investors are still hungry. 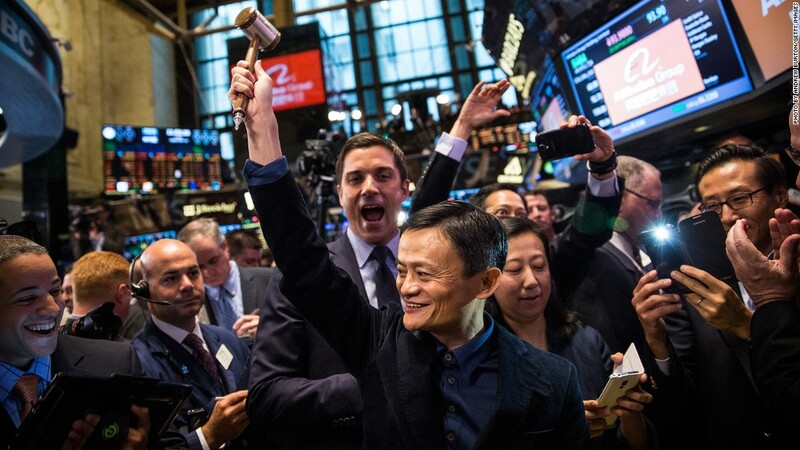 Alibaba's (BABA) decision to list its shares on the New York Stock Exchange should also reinforce Wall Street's central role in the global finance world despite pushes by London and Hong Kong. Plus, four of the top six investment banks tapped to underwrite the Alibaba IPO are U.S. firms. But don't forget, Alibaba is a Chinese company with very little presence in the U.S. at this point. That means the positive ripple effects from the IPO -- like a real estate boom and luxury car sales as newly wealthy executives make purchases -- are largely being felt in Asia, not Silicon Valley. "If it was a U.S. corporation, the proceeds would be coming back into the U.S. economy and there would be a multiplier effect. 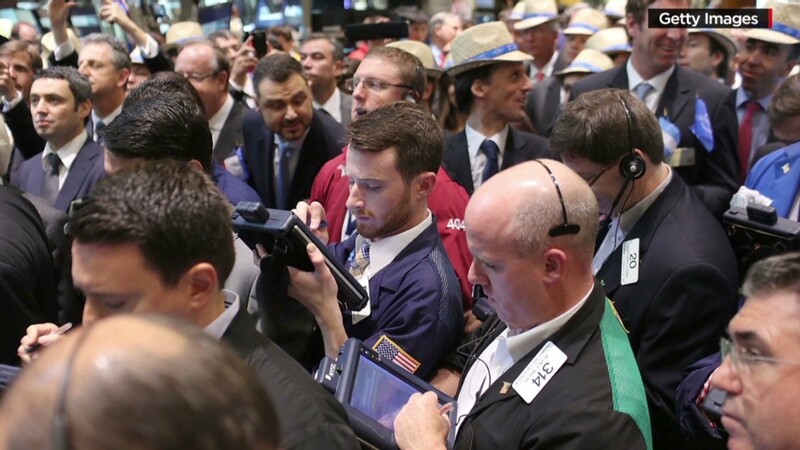 We're only seeing a little bit of that," said David Weild, the former vice chairman of the Nasdaq Stock Market. Related: Should you buy shares of Alibaba? When Facebook (FB) went public in May 2012, it made many early employees and investors millionaires virtually overnight. Some, like Facebook co-founder Mark Zuckerberg, even became billionaires. Those newly-rich people, many of them still in their 20s, quickly scooped up luxury cars and trucks, mansions and yachts. "There was a big real estate wealth effect in the San Francisco area as a result of the Facebook IPO. It had a very beneficial effect on the northern California economy," said Weild, who is currently chairman and CEO of IssuWorks. The Facebook IPO also benefited financial advisors in the Silicon Valley region, who rushed to cater to the needs of the new tech millionaires. But with Alibaba, many of the early employees and some of its early investors are based in China. Alibaba "is creating a positive psychology for the stock market, the IPO market in general and probably for the U.S. economy. It's terrific in that regard. But not as terrific as if it were a U.S. company where all of that capital would stay on our shores," said Weild. It's also worth remembering that New York wasn't Alibaba's preferred destination for its IPO. Alibaba only decided to list in the U.S. after Hong Kong refused to amend its rules for the Chinese company's unusual corporate structure, which gives regular investors less power than typical stocks. Alibaba was not a positive factor for the stock market at all on Monday. Alibaba fell over 4% and dropped well below the $92.70 price it opened at on Friday. The Nasdaq tumbled 1.1% as technology stocks suffered. Yahoo (YHOO), which stands to make billions from its stake in Alibaba, slumped almost 6% amid questions over how much the U.S. company will owe in taxes on its gains. Other Chinese Internet plays were also in the red, including Weibo (WB), JD.com (JD) and Baidu (BIDU), China's version of Google (GOOGL).